As we close the door on yet another year, we’ve been keeping an eye on the digital marketing news that has been making industry waves in December. From new Google Analytics features to a crack-down on so-called ‘engagement bait’, here are just a few of the month’s biggest headlines. 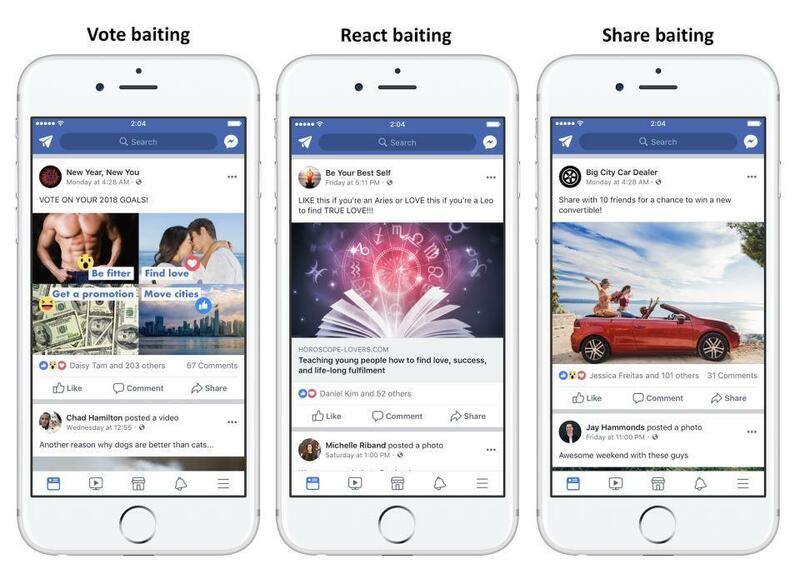 “People have told us that they dislike spammy posts on Facebook that goad them into interacting with likes, shares, comments and other actions” the company explained when the announcement was made this month. “Teams at Facebook have reviewed and categorized hundreds of thousands of posts… [those] that use this tactic will be shown less in the News Feed”. It’s perhaps a natural step from a company that has invested heavily in denouncing spam and clickbait in the past. In January, Facebook altered their algorithm in a way that benefited authentic content. Pages that had previously never posted spam or solicited likes took priority on News Feeds, while those that had – or whose posts had been hidden by a high number of users – didn’t benefit from the same level of increased visibility. This new announcement takes an altogether stricter stance however, with penalties likely to be long-lasting for Pages that frequently solicit inauthentic engagement. Perhaps the biggest news of all however – particularly from an e-commerce perspective – is the introduction of Conversion Probability data and reports. Thanks to a revolutionary machine learning model, Analytics now has the knowledge to calculate the probability of an individual user completing a conversion in the future. An invaluable metric for any website with set conversion goals, the feature is expected to roll out across the platform in BETA form over the coming months. The iPhone 8 and fidget spinners made up 3 of the 5 top trending Google searches in the UK during 2017. Also making the list were Hurricane Irma and the Manchester bombings, which ranked at number 3 and 5 respectively. The top trending search in 2017 was Meghan Markle, with searches spiking dramatically following the announcement of her engagement to Prince Harry in November. The top trends – announced in Google’s annual Year of Search report – are proof of just how diverse our search habits can be. Also proving popular with searchers in 2017 were Wimbledon, Bitcoin and the Netflix original series *13 Reasons Why*. Among the most frequently searched ‘How to…?’ questions were ‘How to make slime?’ and ‘How to stay young?’, while ‘What is a hung parliament?’ topped the list of searches beginning with ‘What is…?’. The social media platform once renowned for its 140-character post limit is giving users even more room to express themselves. Following Twitter’s roll-out of 280-character tweets in November, the company announced the development of a new ‘threading’ feature in a blog post earlier this month. The feature will allow users to add to and expand upon tweets, using the new “Add another tweet” button. From there, entire threads can be created. The feature is in response to a user-led trend, which sees individuals replying to their own tweets in order to stitch a series of posts together. “We’re thrilled to share that we’re making it simpler to thread Tweets together, and to find threads, so it’s easier to express yourself on Twitter and stay informed”, comments Twitter Product Manager Sasank Reddy. In much the same way as the increased character limit, the changes are expected to roll out gradually to users across the platform over the coming weeks. For a more in-depth discussion on the digital marketing updates that affect your business, get in touch today.